Our forum members love seeing their favorite models on the cover of fashion magazines. But models aren’t a guaranteed win — and Vogue Germany has had more misses than hits over the past few months. 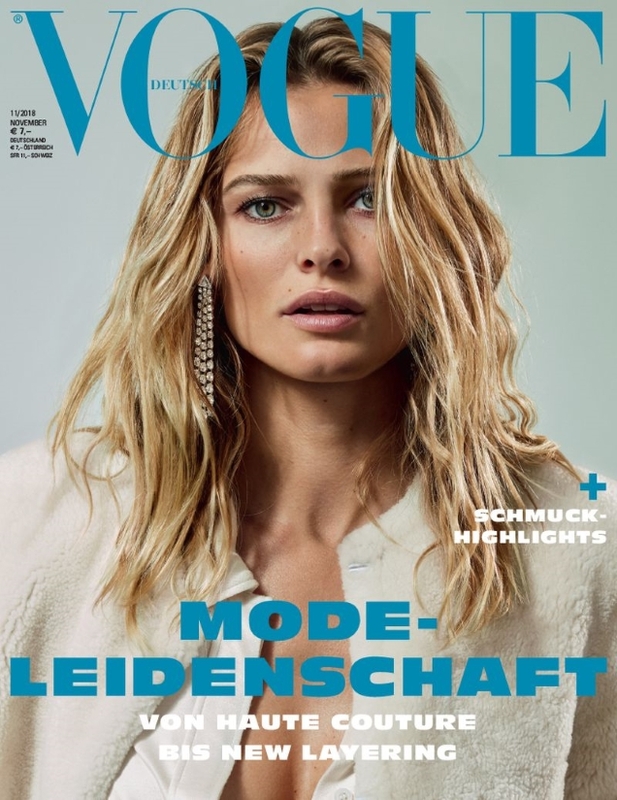 The magazine didn’t even try with Anna Ewers last month, Othilia Simon went all exorcist on us for June and our forums are still not over the four models-of-the-moment covers from February that looked more like mugshots. 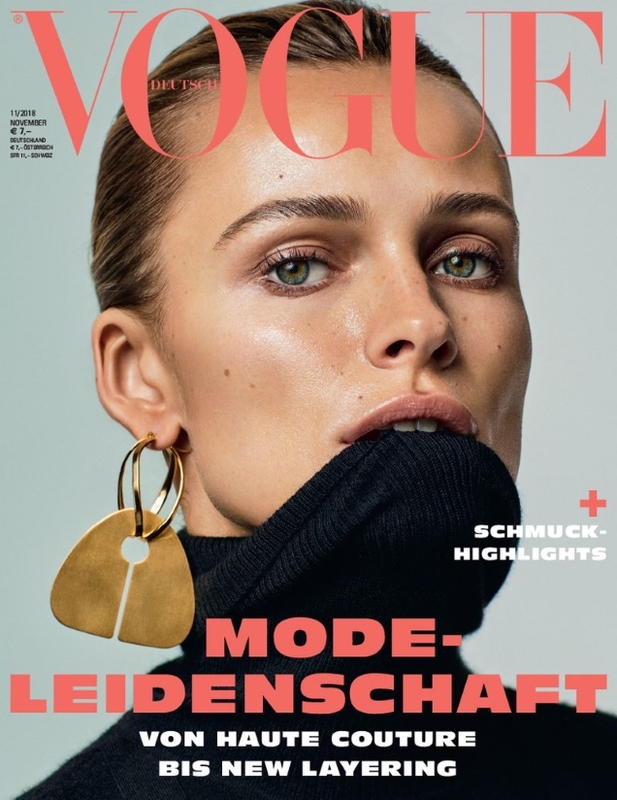 For November 2018, Lithuanian beauty Edita Vilkeviciute adds her fifth cover of the German fashion bible to her portfolio, captured by photographer Alique and styled by Nicola Knels, resulting in two covers to choose from. As always with multi-covers, there’s always one that stands out. “Thank God for the second cover (below)! It’s everything, and more. Mainly her profile and that earring. Easily their best cover this year,” commented Benn98. “Love the second cover. Contemporary yet classic and Vogue-worthy. It is a 2018 (dewy skin, full brows, non-traditional pose) take on a classic 80s money look — the black turtleneck, pulled back hair and chunky gold earrings (LV no less). Very Vogue,” said samoanceleb. “The second cover saves this issue,” declared EstefaniaAbaddon. “Love the second cover, her face looks less retouched and her hair isn’t crazy,” RMDV pointed out. “Edita on Vogue is always a pleasure,” added jorgepalomo. Yet not everyone was a fan. “I don’t like any of these covers. Everything is ugly, text and pictures are disconnected, and that heavy typography is really bad,” critiqued Perickles. “All their covers look like they all came from the same editorial. Boring and lifeless,” MON chimed in. Which cover will you be tracking down, if any? Check out Edita’s cover story and share your thoughts here.